1. Cook the spaghetti as per package instructions. 3. Add the garlic and cook for 30 seconds. 4. Add the shrimp paste, olive oil and pasta. 6. Sprinkle salt and pepper powder. 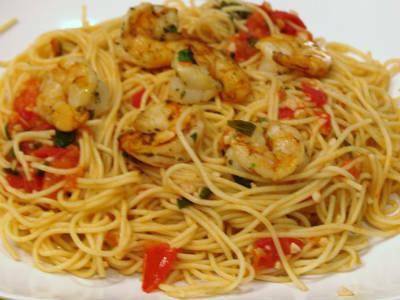 Feel free to comment or share your thoughts on this Spaghetti with Shrimp Paste Recipe from Awesome Cuisine.